"This was a memorable, funny and intelligent musical for children and teenagers which was superbly received by parents. Malcolm Sircom was an exceptional craftsman of musical theatre and we have loved doing two of his shows. 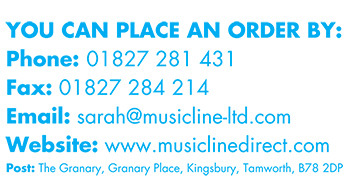 Thank you Musicline for the brilliant memories." "Olivia was AMAZING! It had great music and the parents were thrilled. Best play I have ever put on and 100 percent recommend this to schools." "Olivia was full of pure awesomeness! It was really great. Everyday that we practiced it I I was thrilled. My part, Annie, is an amazing character, every character is! I enjoy every moment of it." "If you are looking for a show for this year then I cannot recommend 'Olivia' enough. We put it on last year with Year 6 taking the speaking roles and Years 3, 4 and 5 each having their own musical number (Y3 London!, Year 4 Orphans, Year 5 Let's Go to the Opera). The reaction from the parents was brilliant and the children loved it. The storyline is a clever blend of Annie, My Fair Lady, Oliver and other well known characters put in an appearance. Whilst the children might not pick up all the subtle references, your audience will and it makes it great fun to produce; the music is great too giving some great melodies for solo singers if you have them..."
"This was a memorable, funny and intelligent musical for children and teenagers which was superbly received by parents. Malcolm Sircom was an exceptional craftsman of musical theatre and we have loved doing two of his shows. Thank you Musicline for the brilliant memories. " "I've been in quite a few musicals at school but this one was just the best! We had a lot of fun preparing, the scenery was just great, the songs were fun and moving and the script was funny and light. Everyone had a great time doing it, and the show was amazing! Great great great! " "I have seen many school plays both as a mother and grandmother and this was by far the best of the lot! Enjoyable from beginning to end - tuneful and amusing and brilliantly written. The children thoroughly enjoyed taking part and the audience loved it. Some of us saw it three times! Super Super Super!!" "This was a wonderful show - it was the best show I have ever seen school children perform. So cleverly written - so tuneful - an evening to remember." "Our pupil council chose this show to perform last summer. The whole school took part, from the 5 year olds to our 12 year olds who were leaving to go to secondary school. Even though we do a musical every year, this one really challenged them - but every one of them rose to the challenge and performed brilliantly! As the teacher in charge, I loved the music - it's so nice to do a schools musical that sounds like a 'real' musical! I'll be buying from this site again, definitely!" "I LOVE practising Olivia! Our dress rehearsal is 2morrow and I'm really excited. I'm playing Eliza Doolittle and my best friend Paige is playing Olivia and my other best friend, Caitlin is playing Mrs Hudson. I also found it really hard 2 do the cockney accent though, I think my character is the hardest role 2 play." "It was snazzy. Year 5 and 6 did it. It was fun. I was Mrs Hudson!!!!!" "I loved singing my song, the best play I�ve done ever at my school! I�m glad they picked it!!!!" "We performed it to most of the village and we and the audience loved it." "A play that shows off acting, dancing and singing talents. Lots of solo oportunities and perfect for a girl heavy cast. Went down a storm with cast and audience. " "The upper part of my school did a production of this and it was brilliant. This was one of the biggest parts I have done in my life. Hopefully we'll do the show again and I'll get an even bigger part. You just never know." "What a fantastic show with high quality music and lots for all the children to do. The best musical I have ever directed. " "An outstanding production - one to show off the talents of your young people. The girl who plays Eliza should have a particularly good voice." "We performed this show with a cast of 40 children aged between 6 and 12 three weeks ago. Cast and audiences loved it! We cast adults in the roles of Mrs M, Mrs D and the Fat Lady but the children did the rest and were amazing!" "BRILLIANT! Everyone in my year group enjoyed it sooooo much! I love the way Malcolm Sircom has taken characters from different plays like Scrooge and George Bernard Shaw. i also love the way the characters are linked like Annie and Olivia. " "This brilliant play was a pleasure to put on. It was fun and all the kids loved it. I advise all schools to choose this play! " "We are doing this play in school and the music and songs are really good to learn and basically it's the girl version of Oliver! WOW!!!!" "I never had a big part in this play. But this is the best play I've done! I was one of the Flower Sellers-Flo. And I enjoyed it very much! " "Olivia is a brilliant play. Our school was the first to perform it; Woods Foundation School in Nottingham, England. I think that even though the main character is Olivia, Eliza Doolittle was the hardest part! Brilliant." "Last year, me and my classmates performed in "Olivia!" and nearly all of us thought it was the best play we had ever been in. I played the part of Olivia and want to say a big thanks to Malcolm Sircom for providing my school with such excellent shows!!" One pupil and her class who certainly enjoyed Olivia. "Olivia is a fabulous play. We performed this play and all in all it turned out great, including famous characters from Scrooge to Fagin and Dodger. The songs sound brilliant and with a choir they sound even better! I highly recommend this play!" "Last week we performed Olivia for two nights and not only was the audience reaction,to put it mildly, gobsmacked but the girls had a brilliant time both rehearsing and performing this fantastic piece.Thanks for such a great show with which to work." 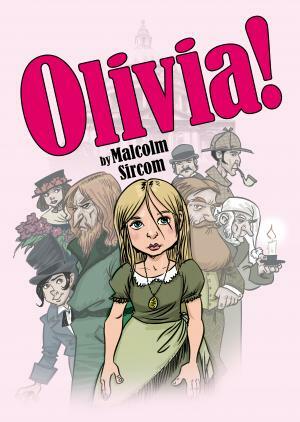 "Rehearsals have only just started for this latest offering from Malcolm Sircom, but Olivia looks like being one of his best yet. Lots of great and varied tunes with clever lyrics and a wonderful script. Can't wait for the performances! "